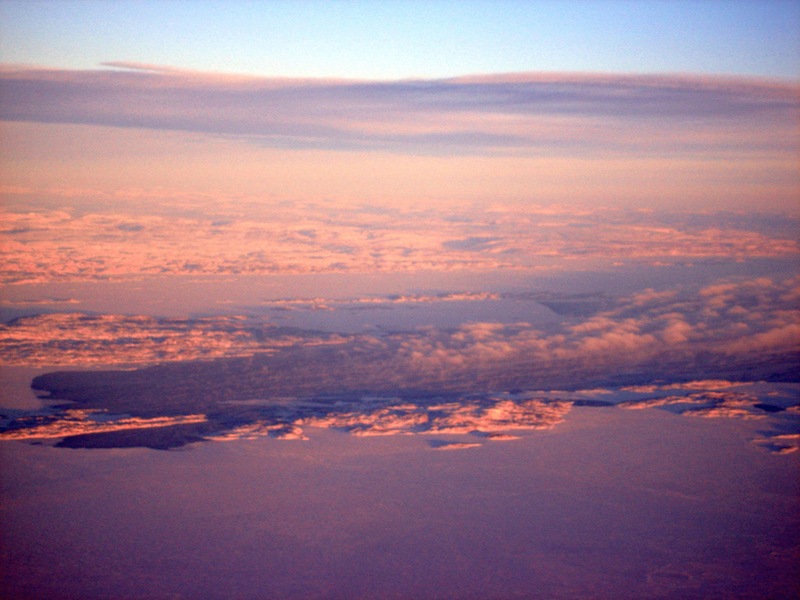 In early March 1995, even by the middle of the night, the sun was almost up in Iqaluit. Steam rose through the cold half-light and mingled above the townhouse complex that locals called the “white row-housing” because of the white cladding on its exterior. It was minus 35 C.
In a unit, perhaps that one at the end of the first block — with the Canadian flag draped across a window — all the lights were on. The outer door was half-open. Some time in the middle of the night, RCMP members perhaps forced it open, responding to a call reporting a violent domestic dispute inside. Or maybe there was violence, blows, tears, and no one called to report it. In the elders’ modern residence down by Frobisher Bay, an elderly woman also woke up with the sun. The large windows of her cozy apartment opened onto the beach. She remembered how Iqaluit looked when she first arrived there in 1957. “There were no houses then. We wanted to leave, but our dogs died,” she said, speaking through a friend I brought as an interpreter. This elder said that, when she was younger, she never saw any violence between men and women. “Life before the settlements was simpler,” she said. During her early years, she spent her time mastering important skills. Knowing how to sew warm clothes was essential for survival on the land. She said she still visited the sod hut built for elders, to peacefully sew sealskins for boots and mitts. But warm clothes no longer offered the same guarantee of well-being as they once did. Many of the battered women in Iqaluit were like L., a 22-year-old woman from northern Baffin Island whom I met. L. had lived here for several years. She and her boyfriend shared a four-bedroom unit with six adults and several children. According to RCMP records, battered women called for help only after 30 to 40 violent incidents. But even so, calls were increasing in frequency. In a single year in the mid-1990s, reports to the RCMP about domestic violence rose by one-third. 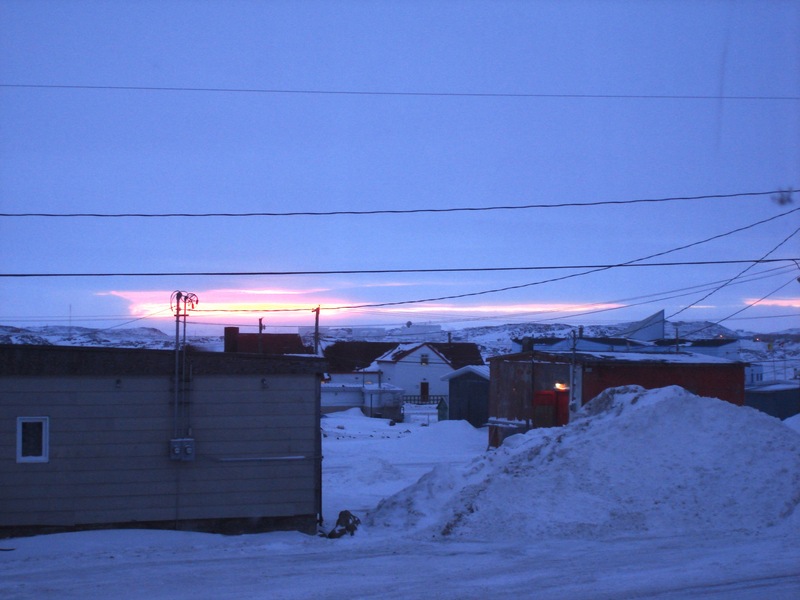 Still, in Iqaluit, women were much more likely to seek assistance than in the smaller communities on Baffin Island, although police said the level of domestic violence was probably similar. A young mother, M., who came from a community in northern Baffin Island, told me how she decided to leave her husband after 10 years of increasingly violent physical and mental abuse. When M. told him she wanted to end their relationship, she said he kept her in their house and tortured her for two weeks. Finally, M. escaped to the nursing station, where arrangements were made for her to leave her community with her child for the women’s shelter in Iqaluit. Iqaluit’s shelter is called Qimaavik: in Inuktitut, meaning “the place to run to.” Most Inuit women must leave their communities to reach the shelter. Many don’t want to do this. Inuit women, like L., who are victims of spousal assault, may forgive their abusers, but a healer I meet in Pangnirtung saif women can’t as forget their pain that easily. “People are like icebergs,” said Meeka Arnakaq. Inuit women say little about what they feel, she said. An image fom a series of booklets produced in 2010 by the Canadian Centre for Substance Abuse and Tungasuvvingat Inuit on Meeka Arnakaq’s approach to healing. Arnakaq lived near those mountains that appear to melt into the fiord every day, in a dazzling display, but she said many women there hardly slepy because of the pain deep within. She says women must begin to talk. “The iceberg needs to be broken. Even if it’s big, it will break. The only way it can get fixed is if you talk. We have to break the iceberg into pieces. Then things will come out. After the iceberg has crumbled, there’s a cleansing of the body. Everything will come out in anger and rage,” said Arnakaq. But many Inuit women still face a life-long exile if they decide to end their pain by doing more than talk — that is, by leaving their abusive mates. “I’ll never go back [home],” said M., who decided to divorce her husband, in spite of his pleas and the intense pressure from her community and family. More than a year after fleeing to the shelter, M. remained in Iqaluit. She regretted having sent her little girl back home. Now, she was fighting for custody in the courts. Talking to these women about their pain was hard, writing about it was hard. But hearing from an editor at a large southern daily newspaper, for whom I have already written three drafts of a story about domestic violence in the North, that he wants more even details about the level of violence these women suffered and that I haven’t gotten into the subject deeply enough, gave me shivers: I let the story be killed. More from “Like an iceberg” on April 22. 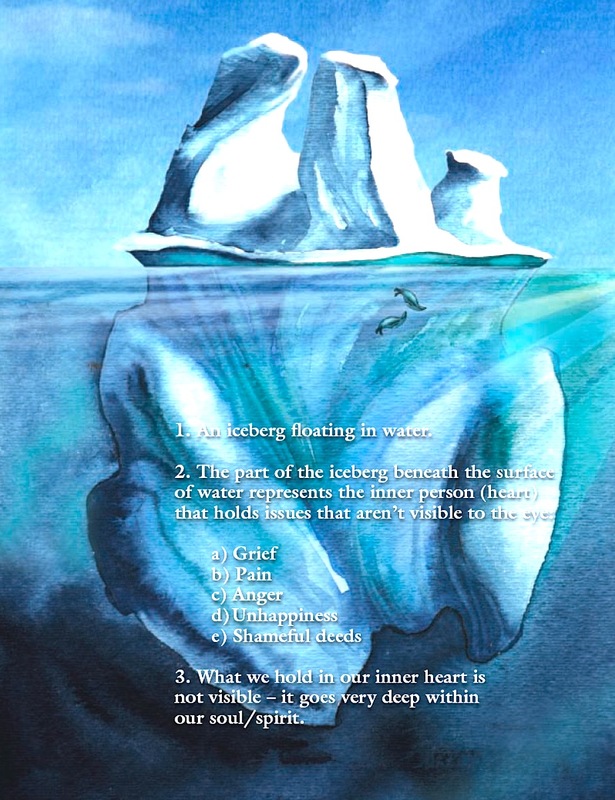 Did you miss the first blog posting of “Like an iceberg”? You can read it here.